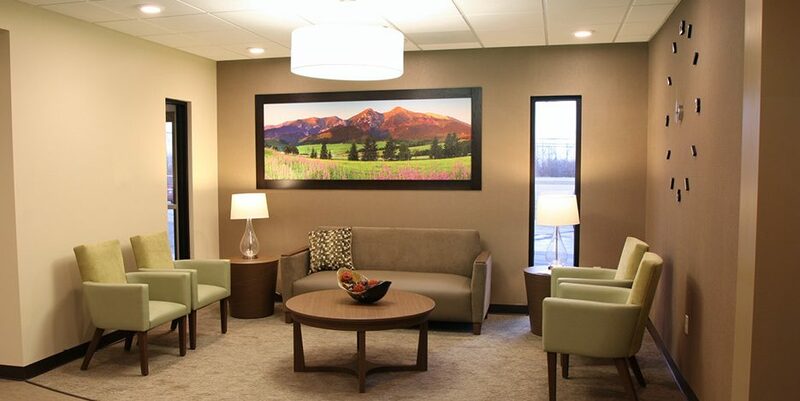 Andrews’ architectural and interior design services revived an existing building, transforming it into a gero-psychiatric care facility with a mission to restore hope, wellbeing, and purpose to its patients. The renovations of this 30-bed inpatient and outpatient facility focused on designing a nursing station at the core of the building to allow its staff to provide exponential monitoring and care for its patients. With a high importance to utilize anti-ligature equipment throughout the facility, it ensured the safety of its patients and staff members. Providing an environment that promotes both indoor and outdoor activities, as well as interaction among patients, is a huge key that unlocks the door to wellness and recovery. To induce the healing process, group therapy rooms were designed to open up into tranquil courtyards that enhance cooperation in collaboration. Group dining and living rooms also open into courtyards, consisting of serene garden spaces to help calm patients.